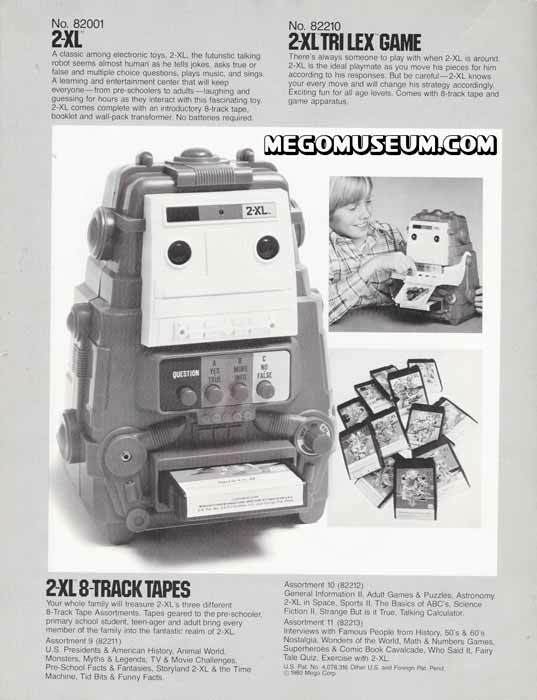 2-XL might have been Mego's earliest and biggest success in the electronics business. Invented by Dr.Michael Freidman, 2-XL received his look from Mego's John McNett who actually gave 2-XL his trademark look. Mego's Harvey Zelman would script the 2-XL tapes and go into the recording studio with Friedman. The late Neal Kublan made mention of a new version of 2-Xl being developed that features sound and images but this never materialised.